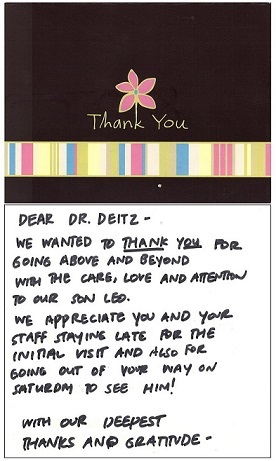 Our Center is committed to providing the best care possible to all of our patients. 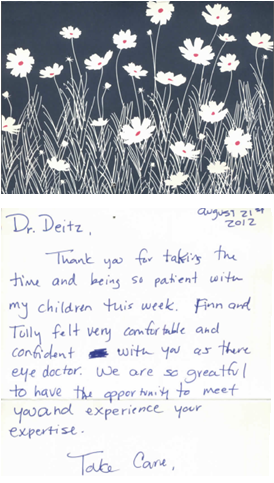 With compassion and empathy, we are very proud of the work we do. 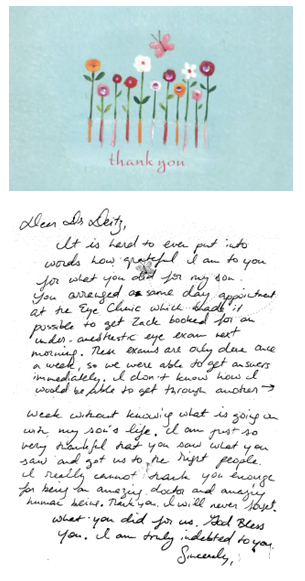 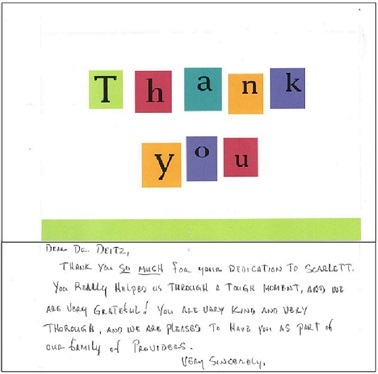 We receive numerous letters and gifts from our patients, thanking us for helping them. 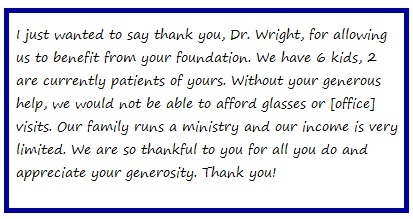 Whether it was for just a simple pair of glasses, complex surgery, and/or ongoing management, it has been our pleasure and honor to receive these tokens of appreciation over the years and we feel much rewarded for our work.